Margaret Hockey died in 2004 and the property passed out of Collins-Persse family ownership to Patrick Hockey’s nephew. In June 2005, the property was sold at auction. At a subsequent auction, much of the important collection of furniture, objects and art works which had furnished the house for up to a century was sold. 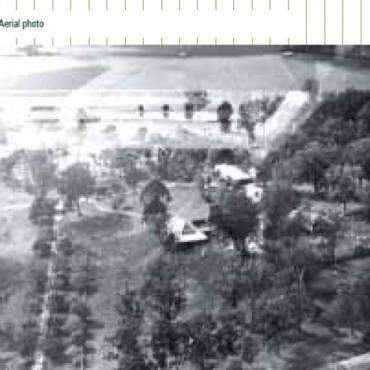 Continuation of grazing and agricultural activities and conservation of the house, outbuildings and the property generally are planned for Nindooinbah. 1. Clement and Paul Lawless, 1842-47: the selection of choice grazing land, beautiful surroundings and the site of the first house overlooking the lagoon. 2. A W Compigne, 1847-1866: the construction of a substantial house (1858) sited further up the hill, but retaining the same favourable aspect as the first house and construction of the woolshed. 3. Robert Towns, 1866-1871-: continuation of pastoral activities, changing from sheep to cattle, and ownership of Nindooinbah at the same time a wider pastoral and financial network was developed. 4. 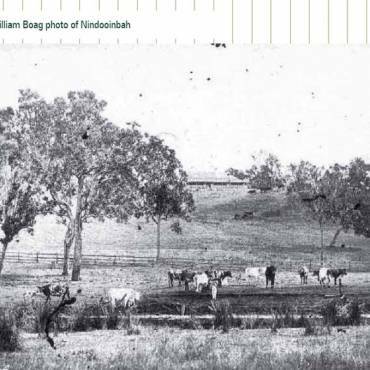 Ernest White, 1871-1900: Nindooinbah was at the centre of an expansive commercial and pastoral network and was renowned for breeding fine horses. 5. First Collins period, 1900-1909: William Collins and his wife first rented Nindooinbah and then purchased the property at auction. The distinguished architect, Robin Dods, was commissioned to design major extensions to the house, and renovation of the 1 858 house. The garden was extensively developed and the ‘bones’ of the modern garden laid down. 6. Second Collins period, 1909-1941: Following William Collins death in 1909, his widow and young children continued to live at Nindooinbah. In 1920, in anticipation of a visit by the Prince of Wales, the entry porch designed by Robin Dods was removed, and a ‘tented ballroom’ replaced it. 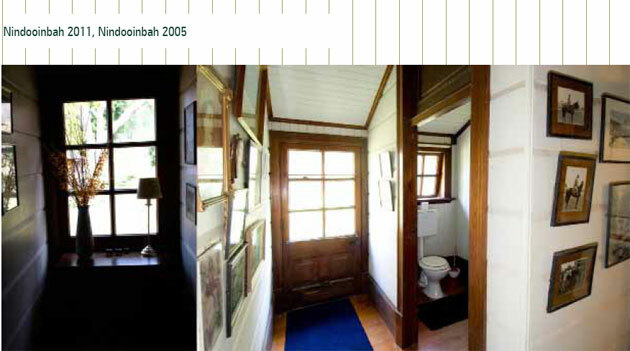 A bathroom was added to the main bedroom protruding into the verandah space at the north-eastern corner. In the late 1920s, a tennis court was added. A small building, likely to have been constructed from materials from the 1858 detached kitchen and some elements, such as the 1858 French doors, was extended and renovated as a residence for William Collins’ son and heir, John Collins, who managed Nindooinbah and further developed dairying activities, until his death in 1941. During the second Collins period, an airfield was constructed on the alluvial flats between the lagoon and the Albert River. 7. Persse period, 1941-1983: William Collins’ second daughter, Beryl, and her husband, Robert de Burgh Persse, took over the active management of Nindooinbah following John Collins death. The garden was further developed, and some rooms inside the house redecorated in the 1960s. 8. The Hockey period, 1983-2005: Margaret Persse and her husband, the artist Patrick Hockey lived at Nindooinbah. The main changes in the house were re-decoration of the main bedroom and other minor renovation. Patrick Hockey restored the garden replanting 1909-41 gardens further developing it with the introduction of new elements such as a pond and teahouse on the south-eastern side and a large round garden between the entry driveway and the house fence on the western side. Hockey also re-located a property worker’s cottage from its position near the manager’s house to the mound outside the fence on the eastern side where it is flooded with natural light and commands an extensive view. This cottage contains some of the fittings from the 1858 house; its new sit is important in demonstrating the location an artist chose for his studio. Patrick Hockey died in 1992 and Margaret Hockey continued to live at Nindooinbah until her death in 2004. In many ways, the most substantial change in the house in this period occurred after her death when many of the original contents were sold separately from the house into diverse ownership. 9. 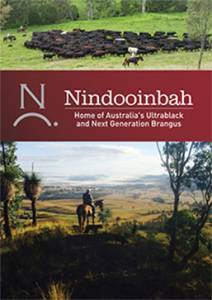 2005-: Before Nindooinbah and most of its contents was sold by Margaret Hockey’s heir, Patrick Hockey’s nephew, the Queensland Heritage Council commissioned a museum consultant to review the interior of Nindooinbah. 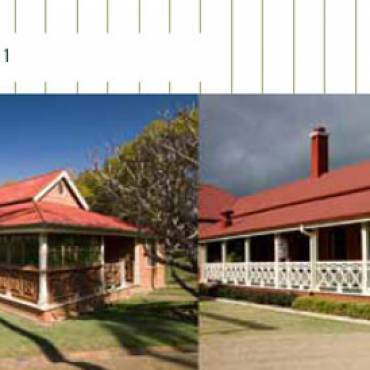 Following this report, the Entry in the Register for Nindooinbah was amended and the Heritage Council adopted policies for the conservation of interior elements dating from the 1906-08 Dods’ renovations. However, the sale of most of the contents of the house has distorted the significance of the interiors in some rooms. Almost 500 items were listed in the auction catalogue; only a handful remains at the house.